This Little Piggy went Wee... Wee... Wee... All the way into your furry friends tummy, tum, tum! 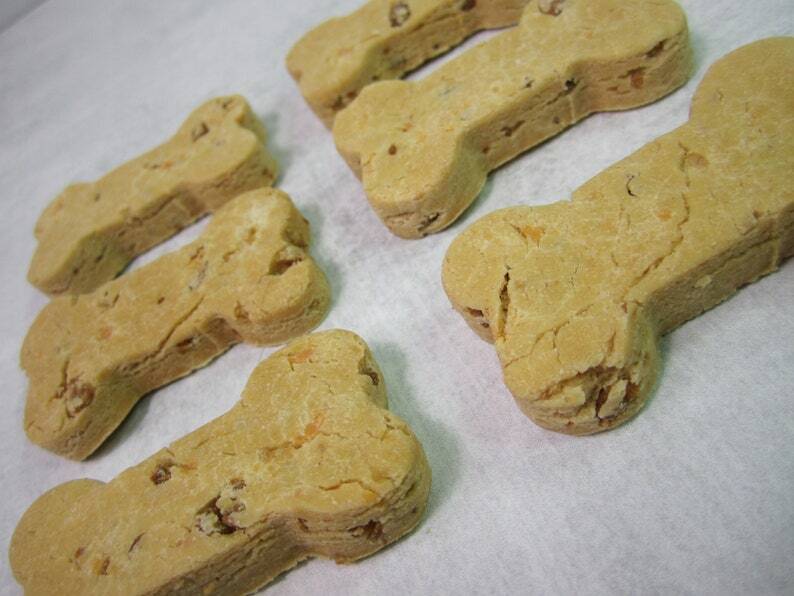 Made with real bacon and cheddar cheese you know these will fast become a favorite treat for your puppy. You will receive a 1 lb. resealable foil bag of Bacon Cheddar Treats. The treats are approximately 2" long. These Bacon Cheddar Treats are made with chickpea flour so they are wheat free!